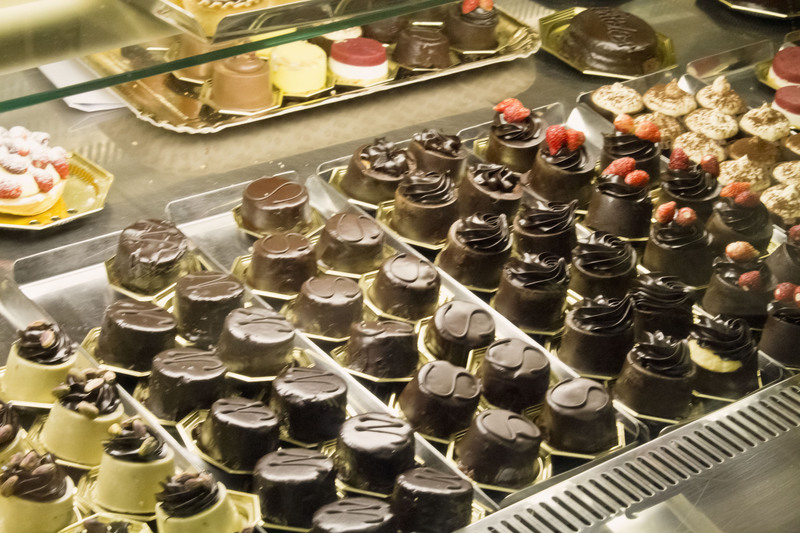 Our first stop was at the town’s best pastry shop, Pasticceria Barberini where we had traditional breakfast of cappuccino, crossini and tiramisu in little chocolate cups. I devoured them before I could even take a picture, my apologies! 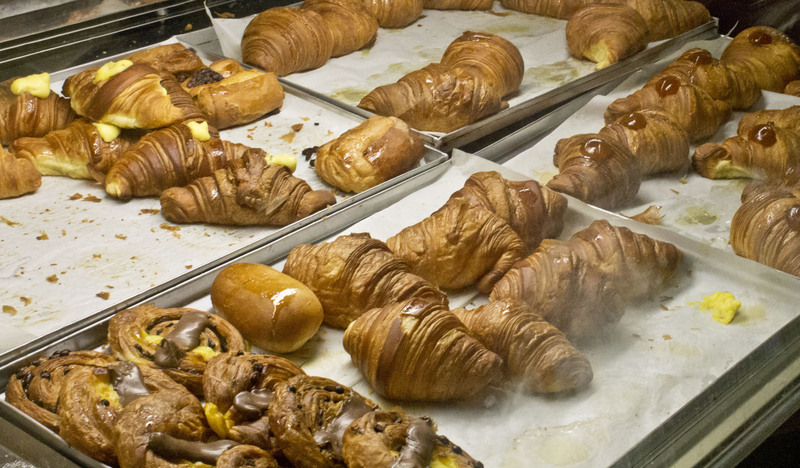 The display showcases a wide array of delicious cakes and freshly-baked bread – I’d let the pictures speak for themselves. 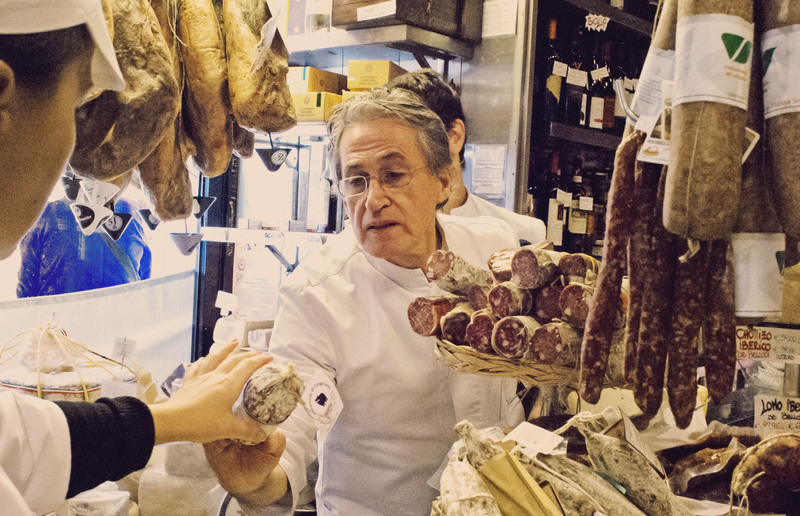 A few steps from Barberini was our next stop, Volpetti, the famed high-end gourmet shop where you can buy the best cheeses, truffles, cured meats in Italy. Here, we sampled pecorino cheese with truffles, culatello, salamis, prosciuttos and two types of balsamic vinegar, one five year old and a decade old – all, needless to say, were good. I have not given much thought to vinegar until I sampled theirs. 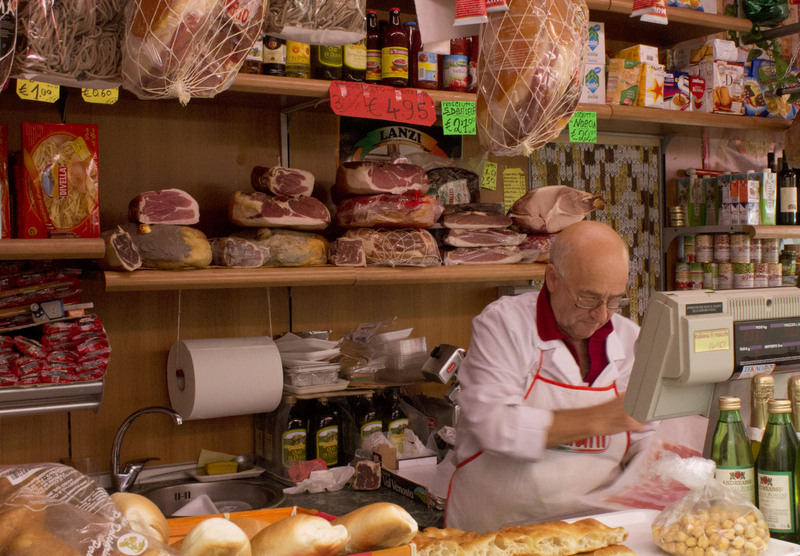 For any foodie visiting Rome, the best deli in the city is a must-visit. 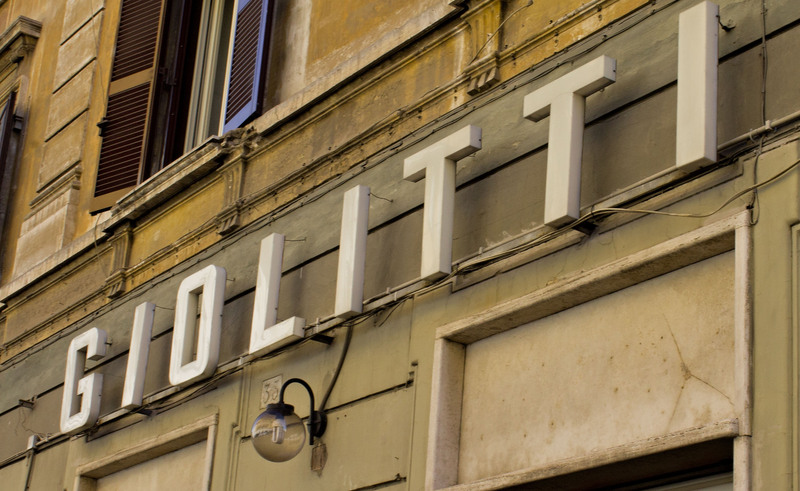 Just around the corner is Volpetti Piu, a tavola calda (canteen-style buffet) where we had the 3rd best ranked slice pizza in all of Rome, their signature Margherita. If you’re like me who prefer simple pizza toppings, then the Margherita (just tomato,cheese and basil) would hit the spot. Kenny, our American guide, enlightened us with some triva while we happily munched on our pizzas away. I learned that during the day, Romans do not eat round pizzas but these squares (pizza al taglio) as it’s illegal to fire up wood burning ovens before 7pm. 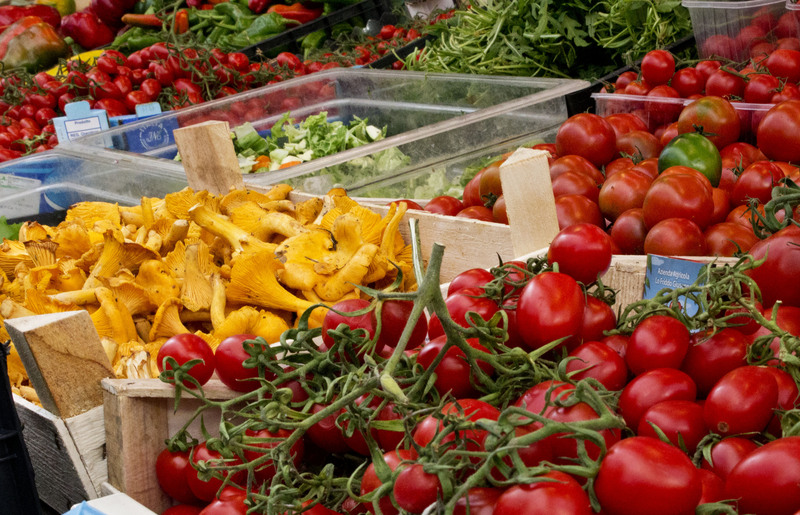 This was at the Testaccio Market where you can buy the freshest local produce. 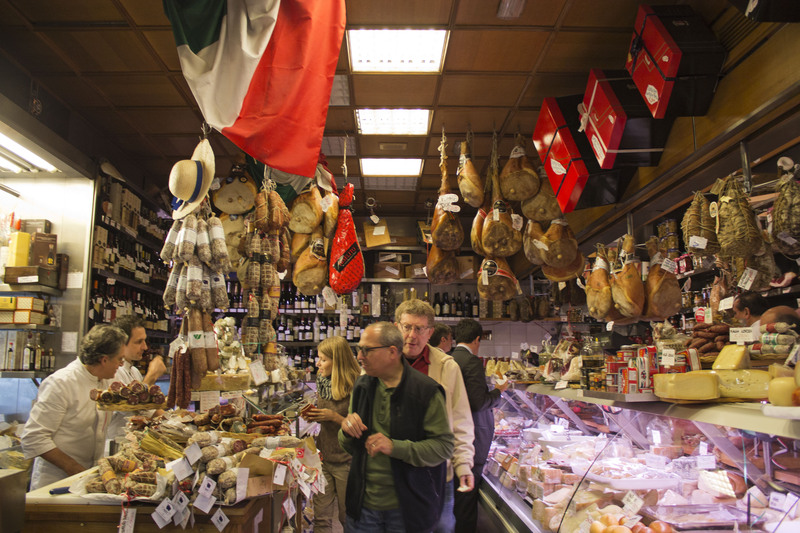 Here you can catch a waft of everything from butchered meat, fresh bread, fresh fish to artisanal cheese and sweet pastries baking. At their market stall, we met Enzo (pictured) and Lina who gave us samplings of some creamy and super delicious mozzarella di bufala. It is easily now our favorite cheese! I wish I had been able to bring some home coz these were the best and freshest mozzarela di bufala you can get your hands on, I was just not sure how it’ll hold up during the flight back to DK. 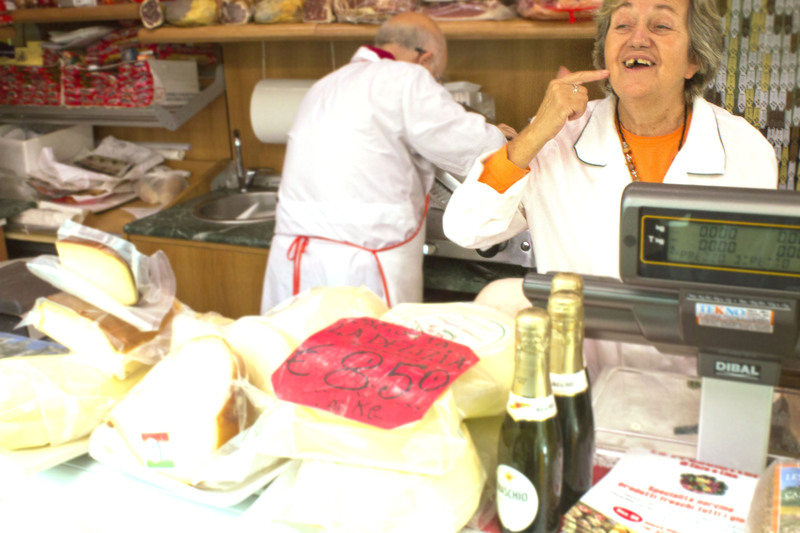 Lina and Enzo have been married for over 40 years and had been working together in their little store for 25 years. Kenny jokes that you can ask the couple any marriage advice. On this stop, we learned lots of interesting tidbits about cheese. Here’s Lina showing us the Italian hand gesture for “Buonissimo!”. Point an index finger and corkscrew it to your cheek, two if it’s doubly delicious! 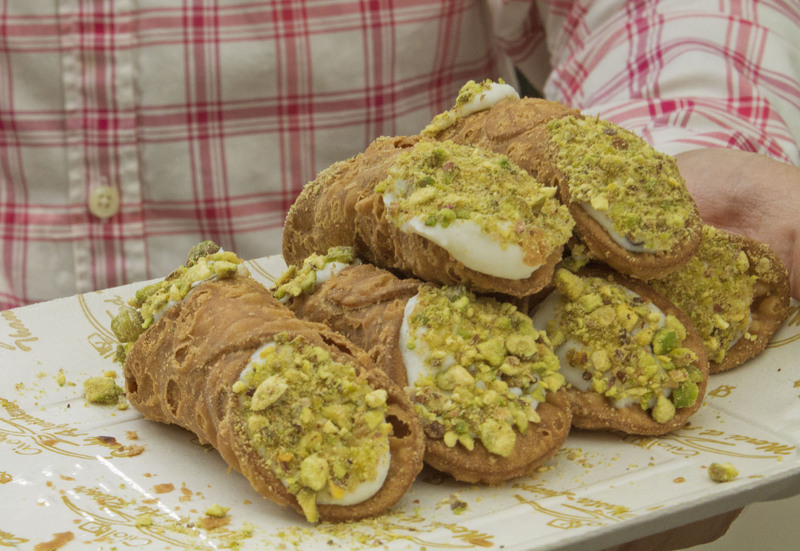 At the same market is where you can find the best cannoli in Rome, Cannoli at Dess’Art from famous Sicilian pastry chef, Constanza Fortuna. 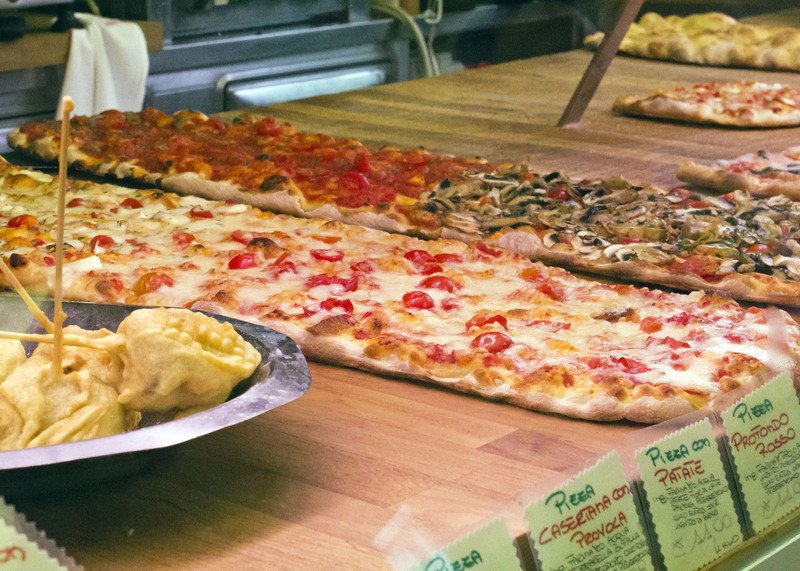 You just can’t visit Rome and miss this treat. 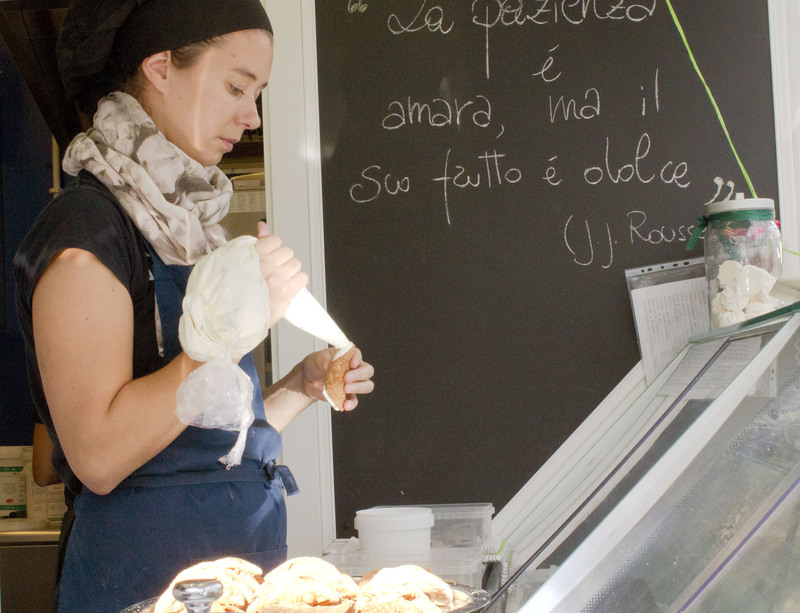 On her chalkboard is a fitting quote: “La pazienza è amara, ma il suo frutto è dolce” – Jean Jacques Rousseau. Patience is bitter, but its fruit is sweet. And as if we were not getting full yet from all the samplings, we headed to Flavio al Velavevodetto for a nice sit-down lunch and wine with our group. 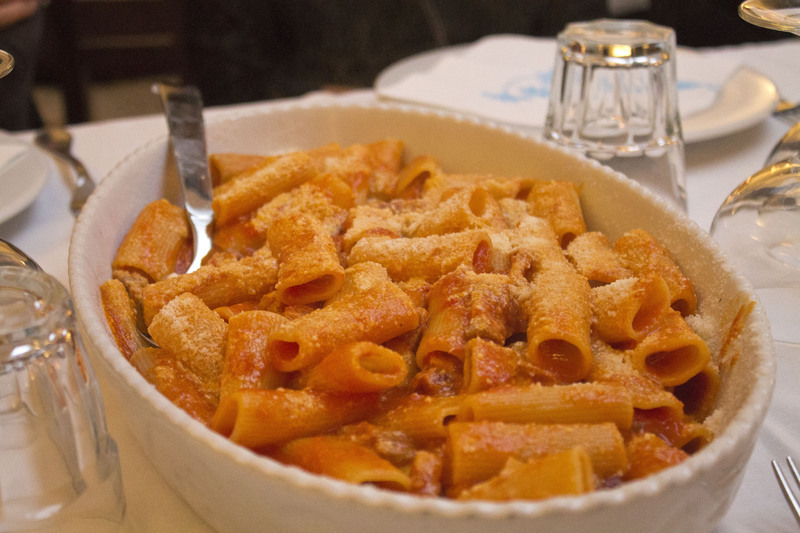 We sampled three pasta dishes: Rigatoni alla Carbonara, All’ Amatriciana (pictured) and Tonarelli Cacio e Pepe. The restaurant is right next to Monte Testaccio and features a glass panel in the dining area, revealing the layers of amphorae. Monte Testaccio became a dumpsite for clay jars used to store olive oil, with earliest layers dating back to first century BC. The jars were not recyclable and so the Romans thought of chipping them in little shards and setting them in layers for disposal. I don’t have a decent picture of the glass paneled wall but if you’re curious, you can see it here. After a hearty meal of pasta, we made our way to 00100 Pizza to sample suppli, fried risotto balls. The food stall is a little unassuming joint in town that’s been mentioned in a lot of articles on must-try Roman food, including a recent recommendation from the NY Times. We came back here a number of times throughout our stay in Rome because we just could not get enough of their trapezzinis and supplis. 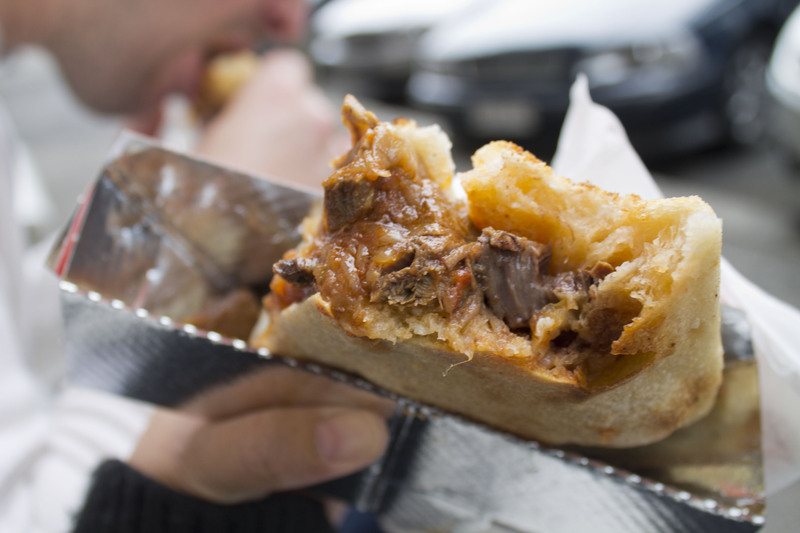 My favorite are their trapezzinis – warm saucy stewed goodness in a crusty light triangle pocket! We finally came to the last stop of our food trip at Giolitti a Testaccio. 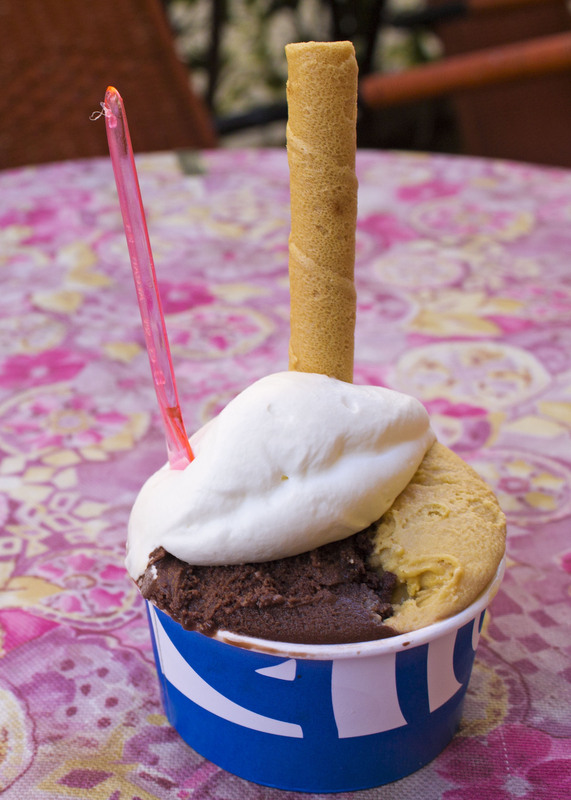 There is no better way to end a day like this than a cup of your favorite gelato. Mine was nocciola and chocolate, topped with whipped cream. It can’t get any better than this as the gelato here is the real deal! Food and culture are inseparable. 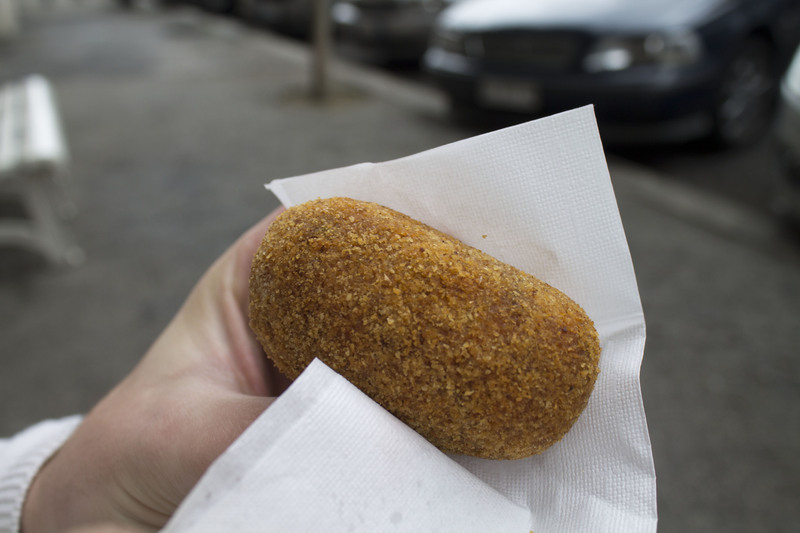 Food is an expression of an identity and often cultures are associated with food. One of the best rewards of travel is fully experiencing the local food because it helps one get a deeper insight and appreciation about the place, its history and the people that lovingly prepare them. 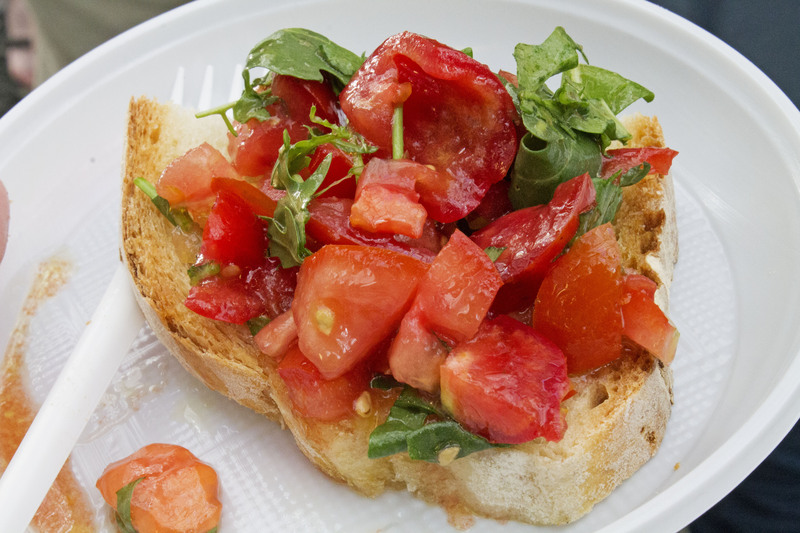 Tip: If you would also like to enjoy a full day of great food that the locals like, peppered with tidbits of information as you go along, I highly recommend taking one of the exciting food tours offered by Eating Italy . wonderful photos and story of your tour. The food looks amazing! The pastry shop would have been my favorite. Part of traveling is the reward of tasting and trying new food. Fantastic gallery.